Even though diving equipment for tech divers has vastly improved since the 90’s, there are other considerations to factor in. These considerations have more to do the logistics and the human apparatus (your body) itself. Sean Harrison, in an article on tdisdi.com, described the four things he wish he ‘d known before his first tech dive. 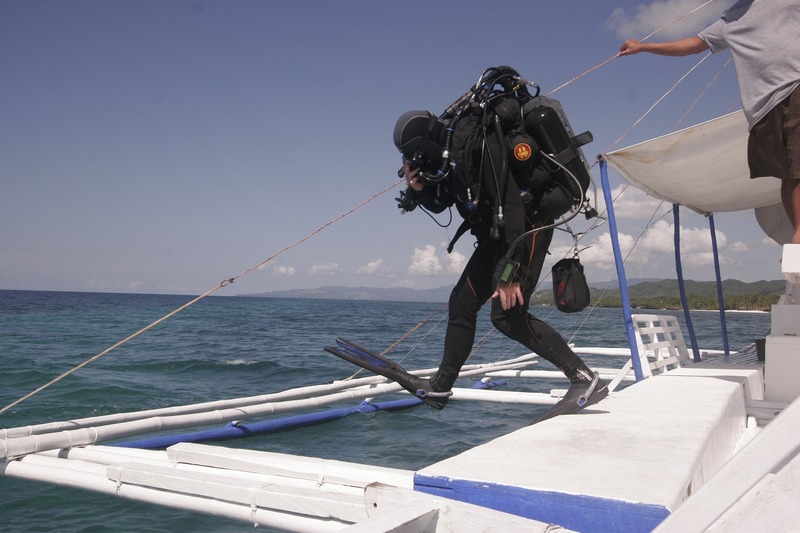 – Dive boats that cater to tech divers typically spend more time out and take less divers. for this reason expect to pay more. Additionally, it is important to talk to the dive boat operators to make certain that you will be able to do the dive you expect. Sean also makes a good point that mixing sport divers with tech divers usually doesn’t work out very well. – Another consideration is that tech dives are typically longer than most dives and with the need to stay hydrated comes the need to pee. This becomes an issue because tech dives typically involve the use of dry suits for added protection from exposure and peeing in a dry suit … well, that’s another story. Tdisdi has two good articles covering this detail: The P-valve struggle & Girls Pee Too. – Tech dives burn a lot of calories while diving. The return boat ride form tech dives are typically further out and the boat ride. Therefore it is suggested that you bring a nice snack or sandwich to tide you over until you get to shore. Then there is the gadgets … Read below for more details. Tech divers are certainly gear geeks but they also tend to be minimalists and only bring what they need. A big part of what allows us to tech dive and stay underwater longer is minimizing air consumption; carrying more gadgets means not being as streamlined and increases air consumption. As you select gear, think about what kind of diving you will be doing, cave divers don’t need what wreck divers do and cold water wreck divers don’t need what warm water ocean wreck divers do. Also think about where it is going to go on your body or configuration. Too many things stacked on top of each other means you may not be able to access it when you need it. If you are a planner or someone that likes to work through scenarios, technical diving is right up your alley. Plan out your dives, call the boat operators or local stores (if you can do the dives from shore) and find out what sort of support they can provide. If you will be diving from a boat, make sure you are clear with the operator what kind of dive you want to do and see if they will do it. Planning ahead is critical when it comes to rebreathers and traveling, not all locations support all rebreathers. Make an equipment check list and go through it before every dive/trip, with tech diving comes more equipment which equals more things to forget. Make sure that check also includes a save-a-dive kit, and that the spare parts now include the ones you need for tech diving. Plan ahead and have fun. A spontaneous tech dive can result in a spontaneous disaster.